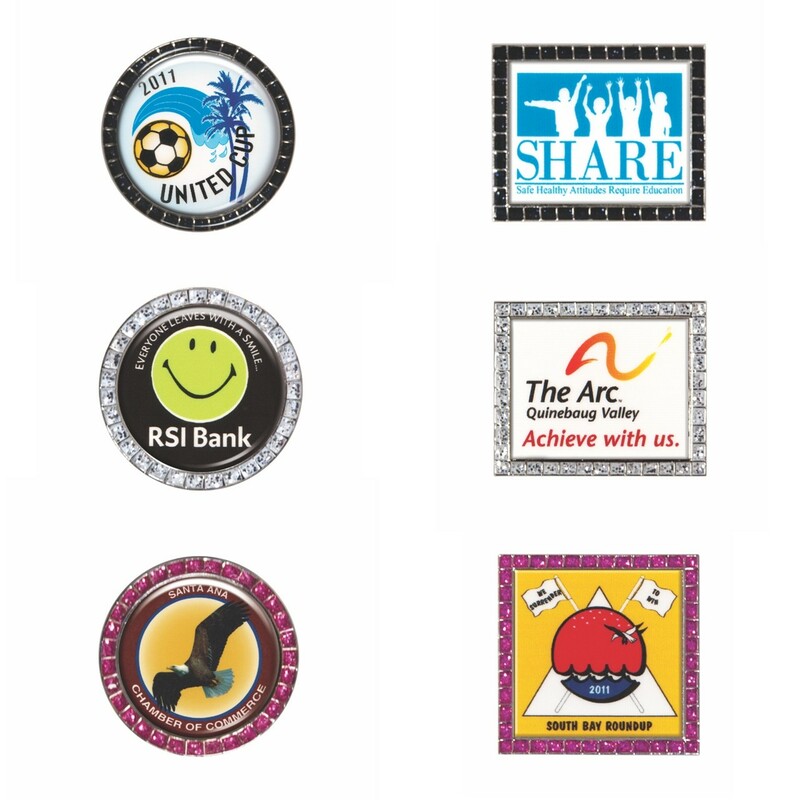 Our Express Glitter Pins are a great way to get high quality, reasonably priced custom lapel pins in a hurry! The picture inside the glitter edge is covered with a poly dome to protect the image. For the artwork, choose between a 5 color process that creates metallic or holographic foil, or a full color process for a realistic photo. Your choice of pink, silver or black rhinestone edge with bright silver finish. Pins include military clutch back. This item does not have engraving. *NOTE: These custom pins are special ordered and require a minimum of 100 pieces. Upload image on the "customize" page. Production time for this product is 6 business day(s); expected pickup or shipping date is 05-02-2019.